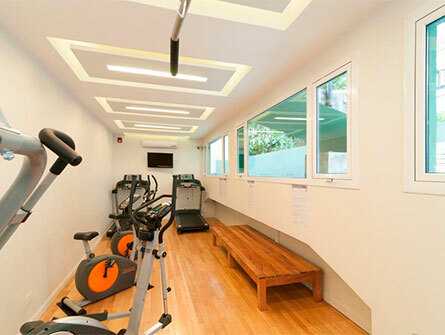 Beneficios Trianon Residence | Apart Hotel in Recoleta, Buenos Aires - Argentina. How convenient to stay at the Trianon is its flexibility, its departments for different destinations, full-service and location. The luxury apartments have an area of ​​145 m2, have a spacious living room, 2 bedrooms, dressing rooms, two bathrooms en suite, modern fully fitted kitchen, 2 TV, video, laundry and balcony. The luxury apartment has a maximum capacity of 4 people. Located in Recoleta is one of the most traditional neighborhoods with a rich history surrounded by all types of transport, a place where you can reach all parts of Buenos Aires. At the heart of Recoleta, Buenos Aires meters around. Fascinating sightseeing tours of the city, museums, tango, cafes and other cultural, tourist and business proposals. Living Buenos Aires. Alone, as a couple, with friends or with family, business or pleasure trip, take advantage of your stay very relaxed. The freedom to be in your house to live your habits, manage your hours, your rhythms and your privacy. Organizes conferences, moments of relaxation and fun with the pleasure of feeling completely free. 50 units - two categories (Deluxe Superior and De Luxe) + 1 Penthouse, for every type of requirement.